Do you want to improve your smile? Do you feel like you're too old to be wearing braces? Well, doctors understand how you feel, which is why they offer Invisalign at Forest Lake, MN, or Hudson, WI. Invisalign is composed of custom-made clear aligners that are made to fit your upper and lower teeth. The aligners function the same way traditional braces work, by applying pressure on each tooth so that it moves into its proper position. Your Forest Lake, MN, or Hudson, WI, dentist creates your custom aligners using a specialized computer software. 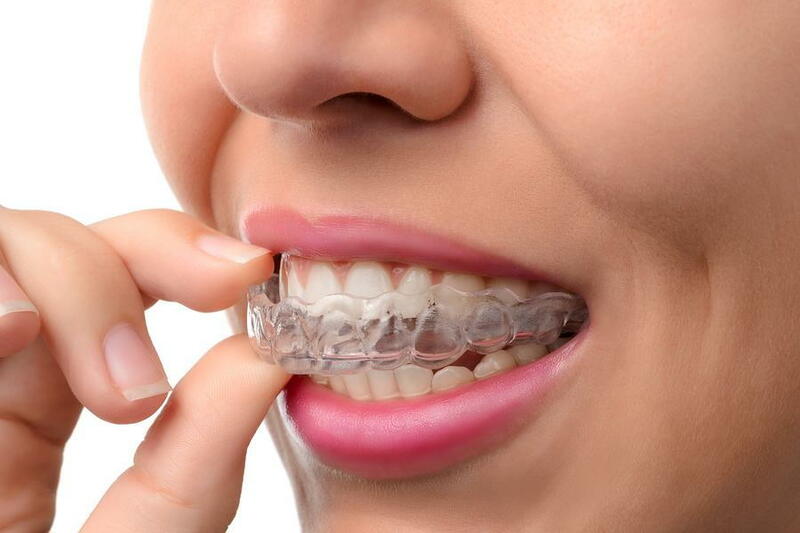 The clear plastic aligners are flexible and are great for if you need to straighten your teeth and don't want anyone to know you're wearing braces, unlike traditional metal braces. You do, however, need to keep them on for a minimum of 20 to 22 hours a day. You can take them off if you want to eat, brush your teeth or floss. Some people like to take their clear aligners off for special events, but that's unnecessary if they're transparent. Oral Hygiene: Because Invisalign is a removable appliance, you will be able to clean your teeth more thoroughly than if you have traditional metal braces. Make sure that you brush your teeth twice a day and that you floss at least once. If you would like to schedule an appointment with your Forest Lake, MN, or Hudson, WI, dentist, then call his office today!